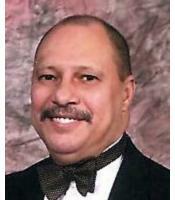 Interment of ashes will be held Saturday, December 12, 2009 at 1:00 pm at New Lexington Cemetery. Kevin passed away in Ft. Wayne, Indiana. He was a graduate of New Lexington High School, he was a United States Air Force Veteran having served in the Viet Nam War. He is survived by his cousins; Paul Ardetto, Barbara (Jack) Shiplett and Tom Ryan of New Lexington, Jean (Dave) Harley of Junction City and Special Friend, Nancy Ardetto Parkman. Many loving relatives and friends.